As parents, we are sure you are constantly bombarded with new stories, trends, ideas and studies on how best to raise your child. It can get overwhelming, not just emotionally but also financially. Hence it is that much more important to ensure that whatever you are signing your kids up for, its worth their while. In our opinion, enrichment classes are quickly becoming a necessity when old school syllabus is unable to keep up with future demands. However, there are a few fads that do slip in under the guise of providing an enriching experience for your child’s development. How does a well-meaning parent differentiate between essentials and mere short-lived trends? We are here to help you analyse what is best and what you can afford to skip. Parents today have the added responsibility of ensuring that their children are ‘future-ready’. Most know that the curriculum that served them well till now may no longer be useful when their children grow up and are ready to take a step into the job market. Parents are also well aware of the unfortunate truth that school systems will take too long to change and waiting for updated systems could put their child’s future in jeopardy. 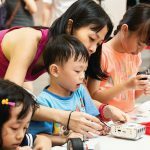 The best thing to do in such a case is to look for technology and STEM education enrichment classes that will also focus on learning through fun and cultivating curiosity. 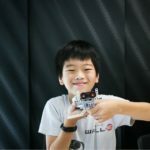 Most studies point to the fact that robotics for kids and coding classes for kids are the kinds of enrichment classes that make the most sense in today’s world. It is great to develop a skill that will be in demand in the future, so why not look for classes that help your kids do just that. Not only will these kind of enrichment classes keep your child constructively occupied but they will also give your child a real chance at success in the future. A win-win! The hunt for the perfect enrichment program to match your child’s aptitude can be taxing. But one way to narrow down your options is to inquire about the teaching methodology. 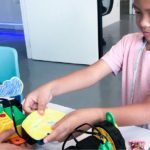 Not all robotics and coding classes build critical thinking, foster creativity, improve communication and enhance collaboration to solve complex problems in a fun, immersive and engaging way. There is nothing in the world that can get a kid to drop a subject like boredom! Classes that emphasize character-building using teaching methods that are fresh and fun is best. With technology taking over the world, the thing that will keep us relevant in the job market of the future is the qualities that make us human. And cultivating social, cultural and life skills in your child can be one of the best move that you can make for them. But how does one check if the robotics or coding classes that you are researching offer an environment conducive for your child? It is always a good idea to attend shorter courses, talk to representatives, instructors or parents of children who already attend the courses. The environment that your child goes into is as important as the classes that you have signed them up for. Children have an innate sense of what they enjoy and what they do not want to spend time on. Let these courses be exploratory phases that can potentially spark a lifelong love for a subject. Not only does the environment at the classes have to be conducive, but the environment at home also needs to be encouraging and happy as well. Analysing an enrichment class for your kid is very critical because STEM education could take some time to fall in love with, but there is also a scenario where your child could seriously develop a negative association with a subject and that could have an adverse effect. So be very careful before picking an enrichment class that purports to prepare kids for The Future Of Work.